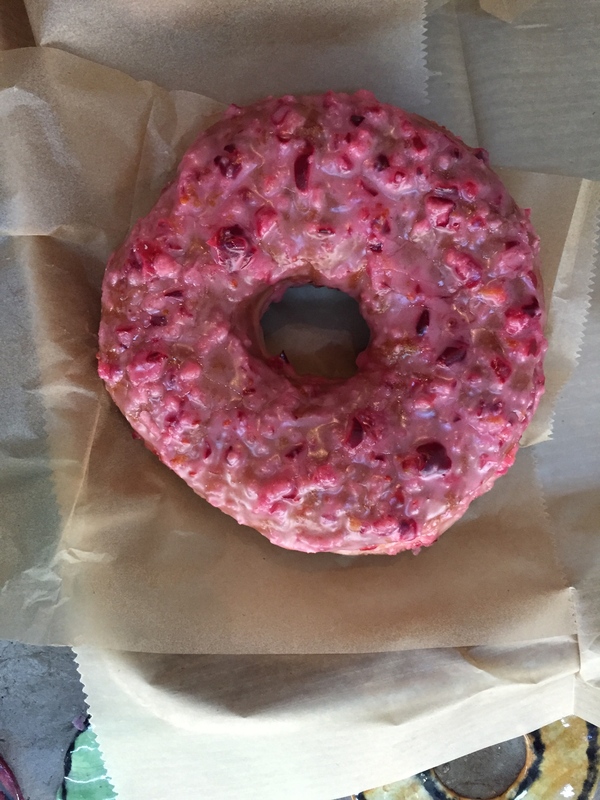 October is over and Doughnut Plant has moved on to new seasonal doughnuts: Cranberry Relish and Roasted Chestnut. I gave in after they told me it had some orange zest. Sounded great to me. You could really taste the cranberries. Delish.